An Iron Fist in the Velvet Glove of Associate Pay? - Adam Smith, Esq. The reason for this reticence is plainly obvious: UK firms are increasingly unable to compete with more profitable US rivals and are attempting to obscure the fact. Nor, for what it’s worth, is Alex optimistic about City firms soon being able to close the gap, particularly “with sterling likely to remain on the floor for the foreseeable future.” Rationally, and as the title of the piece implies, Alex counsels candor and criticizes “City leaders look[ing] evasive” and thinks “getting coy on the numbers” is self-defeating. I would only double down on this: Getting coy about facts always tends to be so. But I’m sitting in Manhattan, not the City, so what moral if any might we draw over here? I’ve had a theory about our industry’s episodic associate pay spikes for awhile, and Alex’s piece has prompted me to spit it out. It’s a thumb in the eye of the less elite firms by the elite. Most recently (2016), it was Cravath to $180,000 for first years–historically it’s Cravath, and we love our customs. Before that (2007), it was the equally elite Simpson Thacher to $160,000. And the bump to $125,000 (from $95,000), while not formally instigated by a New York white shoe firm, came out of the red-hot Gunderson Dettmer of Menlo Park at the very peak of the dotcom era, December 1999 (trying to stem defections to startups). But it didn’t get legs until in the industry until Davis Polk’s decision to match in February 2000, covered by The New York Times no less, that made the new high-water mark mandatory in capital markets centers and elsewhere. The immediate question in the wake of any of these new-high spikes is, “Who’s going to match?” This is more than the tired old obsession of the late and largely unlamented “Greedy Associates” forum (RIP ca. ~2009). The question has real economic teeth, which is why you’re reading about it here. So here’s my theory: After every new high-water mark in associate pay, there are two groups of firms whose reaction you can foretell with certitude: The truly, solidly, unquestionably elite will follow with 24-72 hours, an innumerable host of firms are never going to follow in your lifetime or mine, and most readers could name the members of the first group and know who’s in the second group in their sleep. These are, don’t take this the wrong way, the trivial cases. Then there are the other firms, in the middle. For them (and you know who you are), the question of whether to follow, and if so in which offices (New York? London? Washington, DC? California? Texas? everywhere?) is open to genuine, and understandable, debate. Without having been privy to any of these discussions, one can imagine the discussion is framed around one camp determined to match “the going rate” [because, subtext, we’re an elite firm too and need to run with the Big Dogs] and another camp because, frankly, it’s not easily affordable [and, subtext, who’s kidding whom here?]. These are the firms facing a non-trivial decision, and each of their two clear options will involve sacrifice. Matching the going rate will salvage their appearance of prestige in the marketplace, but at meaningful cost to partners. Just how costly to individual partners depends on variables that are beyond the scope of today’s column, but they would include baseline profitability [higher is obviously better], leverage [lower is better], clients’ policies on paying for junior associates [flexibility is better], the geographic center of gravity of the firm’s lawyers [if you’re not going to match everywhere, then fewer in major metropolitan areas is better], and on and on. Meanwhile, jumping off the wagon and declaring the going rate preposterous will be interpreted as a serious blemish on the firm’s reputation and will kneecap associate recruitment from the most prestigious schools–precisely those law students who have options–leaving the firm with candidates who did not receive an offer from firms farther up the food chain. I’m here to offer another idea. Why don’t at least some firms facing this non-trivial decision declare moral victory and announce that henceforth their policy is to invest in associate training and development in a serious, programmatic, and sustained way. Because of the money they’ll be spending on training and the accelerated career development their associates will experience, with lower billable hour expectations, they will offer a new choice in the marketplace of entry-level legal recruiting: You can go to the Big Dog firms, get paid handsomely and be worked to death; or you can come here and trade the top-of-market paycheck for true immersive professional development. But now our target has a real choice: Get paid top of market and earn every penny slogging away while being trained in the “sink or swim” school of life, or opt for a small short-term sacrifice in terms of compensation (“short-term” in the arc of a 40-year career), but actually learn what this lawyering stuff is all about in a focused, real-world way that no law school has ever tried to teach and no law professor should ever be trusted to try to teach. In the meantime, the message from the elite market leaders to everyone else is clear. 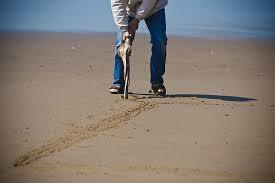 We have re-drawn a key financial line in the sand. Cross over to our side if you dare. I wonder how many clients are impressed with law firms matching first year associate salaries? I imagine clients couldn’t care less, *unless* the new rates lead to higher invoices. At that stage, there had better be some reasonable story about how the value to the client has risen as much or more than the billings. Econ 101, surely. ASE’s proposed alternative would work extremely well in consulting engineering. (It is how a small, specialized firm can compete for premier talent with big wide-spectrum firms. “Do good work, have fun, and make a few bucks,” as the business was explained to me when I was a lad by a founding principal of such a firm.) The proposed approach effectively sets out the logic by which the investment will improve the value of the product to Client. I’ve always thought there must be in many trainees’ heads a sort of tradeoff curve/indifference or utility frontier between starting pay on one axis and “training quotient” on the other. Less pay and more training has to be at some rational level (and the coefficients will differ and are personal but neither one should be 0.0 or 1.0) on a spectrum with more pay and less training. It remains to be seen whether law firms will ever offer a market-clearing opportunity not at the “more pay” extreme. The problem, Bruce, is that training programs at second-tier firms cannot provide cutting edge knowledge. The associate coming out of AmLaw 99’s training program on m & a, for example, just won’t have the battlefield and practical experience of a survivor of AmLaw 10’s sink or swim program. Nor will she have the same opportunities to do intensive, cost-unconstrained research and work in a substantive area. Your alternative provides the associate at the “humane firm” with inferior credentials to move on, both in perception and in reality. And so there’s no good trade off training against more pay/more hours. As long as high end law is an artisan activity, training doesn’t fill the gap. Fascinating and entirely unexpected response; many thanks. We can stipulate the training is “inferior,” to the Top 10 artisanal firm, but in ordinary markets inferior doesn’t mean worthless, at least not if it comes at lower cost, wrapped in a different service package, etc. I also have to wonder, if I were the associate to whom the doors to the Top 10 firms were shut tight, if I wouldn’t be prepared to at least start out with “inferior” (but not nonexistent) credentials. Superior credentials wouldn’t appear to be an option to these many tens of thousands of grads. In any event, a fascinating perspective and thanks again. I hope more readers chime in.